When you live in Mexico, each time you return to visit the U.S. certain things will stand out that you don’t notice when you live in the U.S full-time. Some things are in America’s favor; like the variety in the grocery stores or the efficiency of most customer service operations now that those workers are better trained (remember the old days when they'd actually fight with you?). What also strikes you when you come back to the U.S from Mexico is the relentless greed that often masquerades as capitalism. When you live in the States, you get numb and submit, or gird your loins for defensive and if necessary, offensive measures. Here are some other situations that I ran into during a single trip home. One of reasons I travel back to Denver in early spring is to submit tax filings. Even if you live in Mexico full-time, if you have a passport, you most likely have to pay income taxes. Last year my former CPA decided to go into consulting. I learned via the U.S mail in March that I would need to find a new accountant. I asked if she could refer me to anyone. She seemed to empathize with a woman who, like her, was over 50 and had a business. When I called the CPA she referred to me, he quoted me 30% more ($1,200) than I’d been paying the first accountant ($750) Smelling something foul, I was fortunate to surface a name of another CPA after considerable digging. The third CPA then quoted me $250. The rate was a third what I’d paid my original CPA, the empathetic one. In less than a minute, the least expensive accountant reviewed my filings and saw a major red flag in the prior years filing that would require a re-filing of that return. So much for getting what you pay for. For the inflated price, I was almost audited. Greed or capitalism? You tell me. When I moved to Mexico, I decided to give up my car. UBER, Lyft, ZipCars and Denver’s light rail made owning a car unnecessary. I’d be terrified of ever buying a new car again, especially after learning about the “The Six-Pounder,” as explained to me by a friend who worked for three months at a Lexus dealership in California. A 1, 2, or 3, and so on “pounder” is car sales slang referring to how many thousands of dollars a dealership makes in selling a car. In this case, my friend was hailed as god within the dealership for unknowingly making a six-pounder, selling a car for $6,000 profit within the first two weeks of his brand new career. I say unknowingly because the whole dealership was involved in the hosing, from the trade-in, to the financing, the unnecessary add-ons like undercoating to finally the price of car. Much like the movie The Wolf of Wall Street, the bigger the hosing, the greater the celebration in the dealership. Capitalism or greed? You tell me. (In his defense, my friend called the customer when he found out what a six-pounder was, negotiated the purchase down on behalf of the buyer and quit). In Mexico, you might see rip-offs, but their culture lacks the high-fiving jubilance of ours in pulling them off. In a previous post, I already wrote about how moving to Mexico provided the motivation and patience to find an alternative to the systematic skewering we receive from the major phone carriers such as hidden charges, unexpected contract extensions and their unwillingness to give your money back for unused data. Capitalism or greed. You tell me. In Mexico, most people depend more on Skype, Magicjack, WhatsApp and other internet-based options. The more you travel back and forth, the more you learn about options (young Uber drivers in both countries are good people to ask about the latest, for some reason). By using a combination of Magic Jack and a Mexican AT&T plan ($10/month unlimited calling between countries, a gig of data), my system runs $24 a month. Beating the carriers gives me three times the pleasure than just saving $80/month does. The drug Sovaldi is used to treat patients with Hepatitis C. The 12-week treatment costs $84,000 or more in the United States, compared to $46,000 in Germany. In other countries, including Egypt and in India, the same drug costs $900*. The same soul-less gouging is widely reported in medical devices and hardware. We should be rioting in the streets. By the time we’re old enough to be affected, we’re too sick and cripple to riot. Capitalism or Greed? No question here. In Mexico, I can go to a doctor for $35. An excellent healthcare plan with a private insurer in Mexico costs $1,400/year. Drugs are usually a fraction of the cost. Americans have provided pharmaceutical companies with their windfall profits, enabling them to sell their drugs to other countries at reasonable prices. I have even read articles that we should be grateful for the opportunity to provide these poorer countries with such a reasonable deal. I'm not there yet. Doctors without Borders decided not to take the "bribes" of pharmaceutical companies anymore to call international attention to the obscenely high cost of vaccines. I have gladly paid outrageous prices for haircuts and rewarded myself at Nordstrom. You go into these purchases with a different frame of mind. You go to treat yourself to something special. You wouldn’t be there nor have to be if you didn’t accept that. Cars, phones and healthcare are necessities not luxuries, you shouldn’t have to monitor every transaction for these services like an CIA operative. In Mexico, much less of my time is spent on such surveillance. It’s not just the blatant greed. It’s the energy expenditure. As a middle-income person, the daily battle to research what you should be reasonably charged, navigate unfamiliar websites, get through to customer service people and manage your frustration adds an already stressful lifes tyle in America. We spend an inordinate amount of time defending ourselves against these excesses, energy we'd all rather spend taking care of ourselves, our families and our friends. The older you get and the more you are exposed to big things - existential fear, illness, job loss and heartbreak - the less fired up you are about suiting up and assuming the mantle of potential aggressiveness it often takes to win battles against the greed. The car salesman and the guy behind the AT&T desk are fighting their own battles, They need a job and are doing what they're told. Understanding that, you approach the negotiation with as much civility as you can muster, as you dream of throwing a molotov cocktail at the executives and boards of directors behind and above them. Looking ahead, I can see myself one day lacking the energy and resourcefulness necessary to “rage against the machine” anymore. That's when I will make Mexico permanent. Mexico is far from perfect but you sense a beating heart. They have price controls on basic food items. They subsidize air conditioning costs to a certain level of usage. Phone rates are reasonable. Vendors aren’t taxed until they bleed. While individual Mexicans can be opportunistic with a naive American, you don’t see the level of organizational greed that has become so endemic as to be normal part of life at home. Once you learn the ropes in Mexico, and I hope this website and blog gives you a head start, that some day you will be able to put down your shield and spear, walk down to some palapas and think about a nice Mexican sunset. Another area of greed is what one writer refers to as "attention theft," those situations where you are held hostage to listening to advertising at a gas pump, hospital waiting room or a cab's television screen. As he points out, you are giving away something valuable for absolutely nothing in reture. Next up: Why you should learn a second language over 50, no matter what language it is. Most recent: Life not offering the same excitement? Try these tips. Hola - I am a partner with Ventanas Mexico which provides insight and resources to those considering expat life in Mexico. 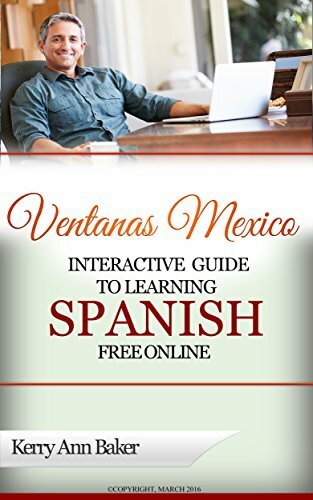 I'm also author of the "Interactive Guide to Learning Spanish Free Online," a curation of the best Spanish language tools on the web. If a Spanish-speaking country is in your future, or if you just want to stay mentally sharp, get started on Spanish. 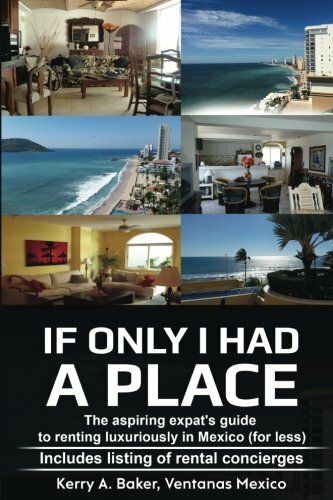 I also recently released "If Only I Had a Place" on renting luxuriously in Mexico.